"We're looking forward to strengthening ties between the United States and India. We have a lot of areas of mutual cooperation, fighting terrorism, we have a lot of people-to-people ties, strong people-to-people ties; so we're looking forward to that visit. We have a lot of visas that get granted - are granted to Indian citizens," State Department Spokesperson Heather Nauert said. Further stating that U.S. treasures its relationship with their Indian friends, Nauert expressed the Trump Administration's eagerness in greeting the Indian delegation. Giving an ample indication of the 'friendly' ties, the U.S. has cleared the sale of 22 unmanned Guardian drones to India. At the invitation of the US President Donald Trump, Prime Minister Modi will visit Washington DC on June 25-26. The two leaders have spoken over phone for at least three times. However, this meeting comes at a time when Trump made critical comments on India while announcing the US decision to pull out of the Paris climate change agreement. President Trump has accused India and other countries of trying to extract "billions and billions and billions" of dollars in foreign aid from the developed world to sign up for the climate accord. 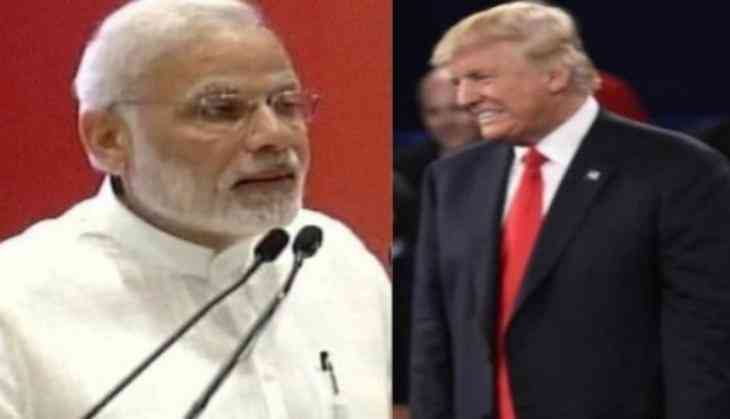 In spite of the difference on some issues, Prime Minister Modi's discussions with Trump are likely to find a common approach on matters related to South Asia, particularly the rise in infiltration from the neighbouring Pakistan, terrorism and India's case for a seat at the nuclear supplier's group. The Prime Minister has reiterated India's support to the Paris agreement and said he is willing to go further than what has been committed under the Paris accord. Moreover, US National Security Adviser (NSA) Lieutenant General H.R. McMaster has re-affirmed India's position as the US's "major defence partner" during talks with his Indian counterpart Ajit Doval and Prime Minister Narendra Modi. McMaster had discussed bilateral ties, situation in the South Asian region including Afghanistan and Pakistan with Prime Minister Narendra Modi during his April visit. Under the previous administration, Prime Minister Modi had a record number of eight meetings with former US president Barack Obama. Indian national security adviser Ajit Doval had met his then counterpart Michael Flynn in December -before the inauguration. On the US executive order on H1B visas, Union Commerce and Industry Minister Nirmala Sitharaman has reportedly hit back at the US on the H1B visa issue and said that their companies in India will also be affected .She has said that it is not only the Indian companies which will get affected but also the US companies who earn profits which go to their economy.